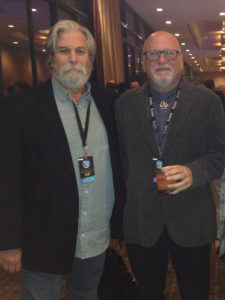 A couple weeks ago I attended my very first NAMM (National Association of Music Merchants) show. It won’t be my last. I’ve been faithfully going to AES Conventions since I joined in 1975, but not to NAMM. In the audio production community, we’ve gotten used to the AES shows – along with the rest of our industry – shrinking a little every year. Not so at NAMM. 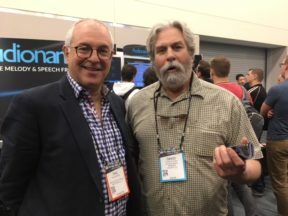 The two huge halls hosting the professional audio manufacturers reminded me of AES shows 30 years ago – easily six times the size of last year’s AES. 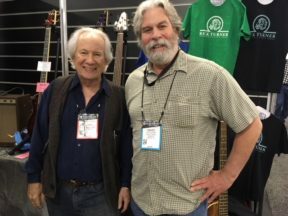 NAMM embraces all of music-making from sheet music publishers, to tambourine makers, fine luthiers, boutique stomp box purveyors, and everything – and I mean everything – in between. Seeing the pro audio exhibits among all of this is a reminder that our studio world is just one part of a vibrant musical ecosystem. 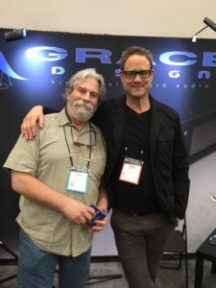 AES will always be the place for scholarly papers and research, and deep dives into audio technology, but the really fun stuff is out there with the musicians who make our work possible. The impetus for the NAMM visit was the TEC Awards. Airshow Mastering’s studio, designed by Sam Berkow, was nominated for an award in the Studio Design category. We didn’t win but the awards show was great fun. Jackson Browne received the Les Paul Award, and we were treated to a candid talk and a performance with The Section, who were also honored. What a treat to see and hear Leland Sklar, Russ Kunkel, Greg Doerge, and Danny Kortchmar – all legends – reunite with Jackson Browne on a couple of his classic songs! As large as the pro audio exhibits were, they were dwarfed by the rest of the show. I took a long walk through all of the exhibit halls on Friday morning. 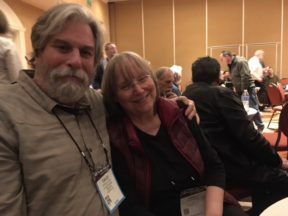 By luck, I started in a quieter corner of the exhibit hall – guitar straps and sheet music; gradually, there were hints of flutes and saxophones, followed by pianos, then tambourines then hundreds of drums of every kind. The bass section was next, and the sound pressure was rising fast. At last I was immersed in a sea of electric guitars and swallowed by the cacophony of musical fragments swirling around the hall. I felt like Capt. Willard journeying upriver to the heart of darkness and fully expected to see severed heads impaled on mic stands to mark the aisles! I survived the journey. I’ll be back. If I was lucky, I saw 5% of what was on display. Revenue from music sales is a mere fraction of what it was 20 years ago, and the industry has resized in response, but the impulse to play and share music is, thankfully, irresistible. As is the drive to create better instruments and gear for the music makers. It’s a smaller industry, but not poorer in ideas. Oh- and remember to stay at a hotel within reasonable walking or rideshare distance of the Anaheim Convention Center. Traffic and parking, especially on the weekend when Disneyland is in full swing, is impossible. See you in Anaheim in 2019. 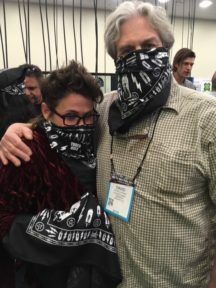 Eveanna Manley shared a booth with some bad hombres.